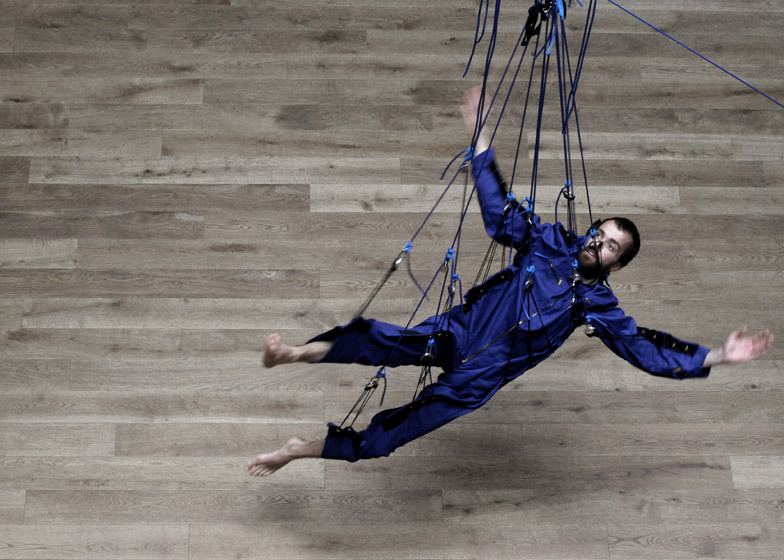 The suit is essentially a bunch of mini hammocks that support individual parts of the body, including the feet, knees, hips, arms and neck. 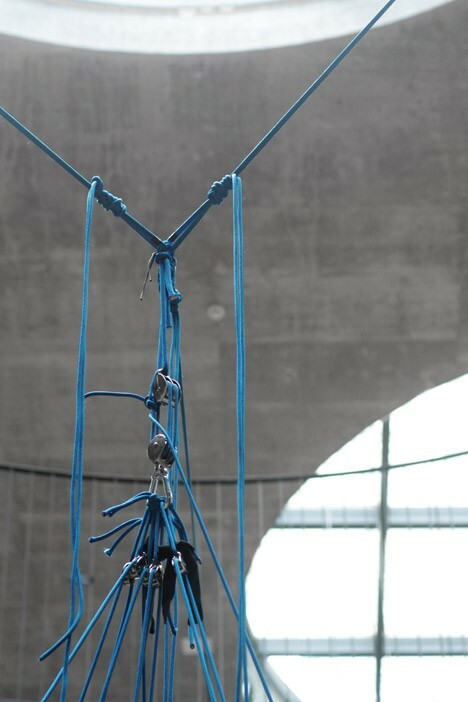 Pulleys allow the wearer to adjust the ropes to distribute their weight in whatever way feels most comfortable, so you can recreate your favorite sleeping position in mid-air. It’s part of a project called KSEVT Hotel, which invites visitors to spend a night at the Cultural Centre of European Space Technologies in rural Slovenia. The experience is meant to replicate what it feels like to sleep in space, minus the straps that astronauts use to keep themselves from bumping into things in the night. 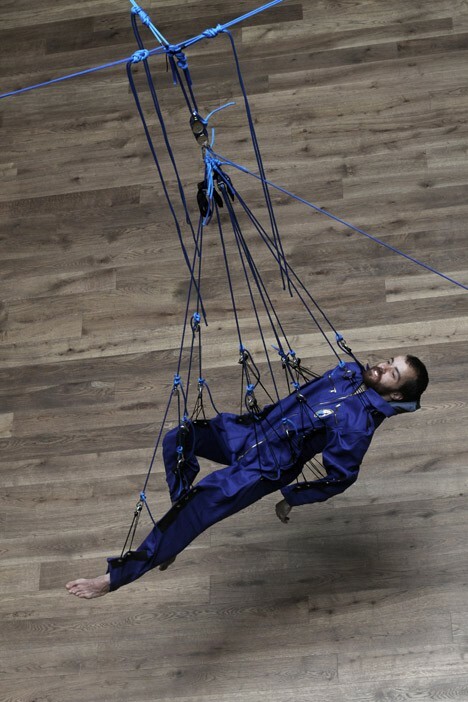 It’s an intriguing idea, and can probably be quite comfortable if you adjust all the ropes just right, but you’d better hope you don’t have to go to the bathroom once you’re strapped in.